Everyone Loves a Boston Girl » my weekend of excitement. Everyone loves a Boston girl. This is the story of one Boston girl's adventures in the city, in blogging, and in getting through those crazy 20-something years. The weekend is nearing its end and I did not go out to dinner either Friday or Saturday night. Wow, this is seriously a first. The boy and I just felt like cooking dinner both nights, which is strange, because usually we’re far too lazy and just want to relax and have someone serve us at least one of the nights. Or my friends and I will go out one night and get nachos or other weekend junk food that makes us happy. I, however, haven’t had much fun this weekend, as I’ve been stuck doing homework and freelance work non-stop. So I guess cooking makes me feel like I’m at least doing something interesting. Cooking in Beacon Hill also means a trip to Whole Foods at least once a day. I love Whole Foods, ridiculously expensive prices and all. There’s just something about being there among the snobby, high-class people and 350 varieties of cheese that makes me feel good inside. Reason #438 I know I’m growing up: I thoroughly enjoy trips to the grocery store. Sad? Maybe. Another reason for loving the Beacon Hill Whole Foods, as if we needed one. 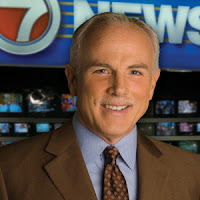 There’s always a chance you’ll see Channel 7’s Randy Price doing his after-work shopping. I’ve seen him 3 times now and love the fact that he always politely chats with anyone who happens to recognize him.